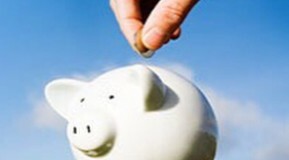 Want To Earn More From Your Savings? Achieving a good return on your savings with a high street bank these days can prove rather challenging! With many savings accounts offering less than 1% return it can be tempting to start looking for an alternative that may give you more for your money, and that’s where we come in! Investing doesn’t have to be high risk (although it can be if you want it to be) by diversifying a portfolio it may help in achieving a better return that what bank or building society instant access accounts are offering, as well as giving you the chance to look after your investment yourself or have a professional do it for you. If you are able to invest for at least 5 years then why not talk to us? We are happy to discuss your financial circumstances, examine your needs and aspirations and offer advice that is tailored specifically to your needs. We don’t believe in a one size fits all, that’s why we listen to you and only offer solutions based on your personal requirements. So, if the return on your savings has been rather disappointing recently, why not get in touch and see how we may be able to help.